Effective January 1st, 2008 NSA has turned over the Water and Air Filter program to WM Filter LLC,, Water Marque INC. in Naples, Florida. WM Filter LLC. 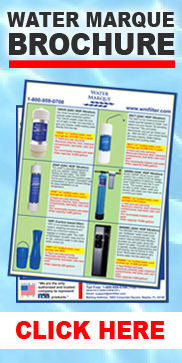 is the ONLY approved and authorized company offering replacement filters for all the NSA water and air products. We provide replacements for NSA model 100S, model 50C, model 25I.